Carl Erikson, known as Eric, was an American illustrator and portrait painter of Swedish stock who worked for Vogue from 1916 until his death in 1958. His first cover for the magazine dates from November 1930. 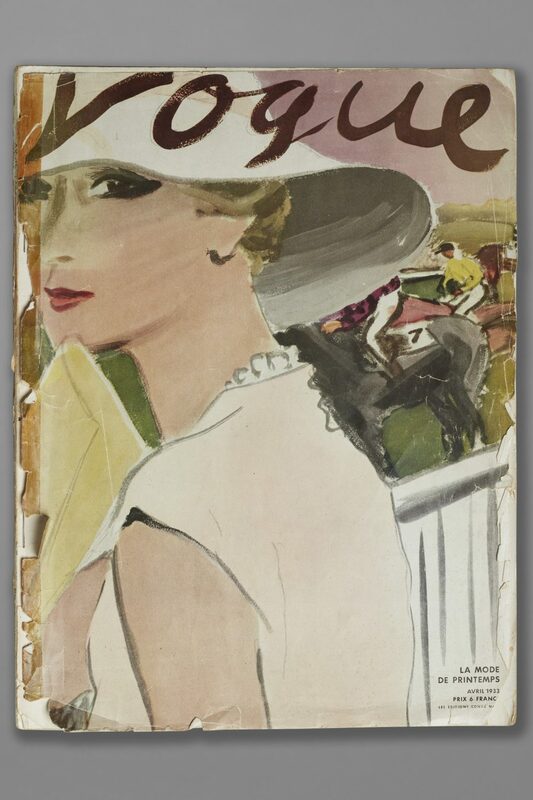 Eric sketched from life, often at society events, and the loose handling of his material gave his covers an immediacy that contrasted with those of doll- like women rendered in flat planes by Benito and other illustrators during the 1920s. 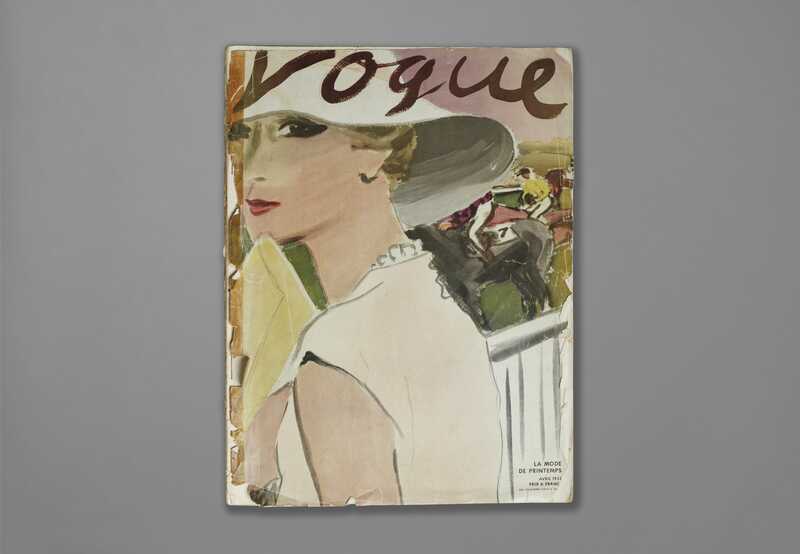 This image of April 1933, used by both French and American Vogue is cropped, snapshot- like, the masthead almost scrawled across the top with its capital V cut off by the left hand corner. The model turns her head as if to gaze languidly at the artist or the reader of the magazine. 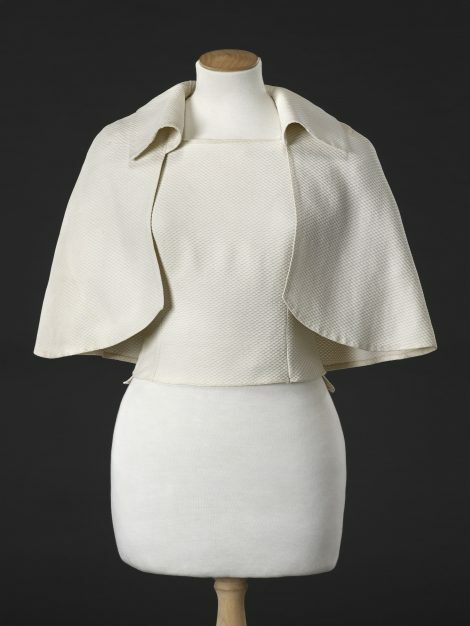 Eric also contributed to the interior illustrations of this edition of Vogue, depicting clothes designed by Schiaparelli amongst others. Visual fashion content, both advertising and editorial, appears equally divided between photographed and drawn images at this date.